The Utah Department of Transportation uses web services to share a gallery of maps with the public and officials that pertain to road projects, pavement management, and other topics. The Utah Department of Transportation (UDOT) uses Esri’s ArcGIS Online to power UPLAN, an interactive mapping platform that includes information about the state’s unified transportation plan, pavement management, safety and crash analysis, bridge locations, bike lanes and routes, mileposts, and more. Reduce crashes, injuries, and fatalities to zero, if possible. Preserve the transportation infrastructure through proactive investments. Optimize mobility across the state through innovative designs. This work requires access to voluminous amounts of data: traffic volumes, accident statistics, pavement conditions, and much more. For years, data was housed in silos where only some UDOT employees could see it. In other words, not all the data was accessible all the time to all the people who needed it. “We didn’t know how to get at it,” UDOT planning director John Thomas said. Spatial data for projects wasn’t always on maps, either. At meetings, engineers spent a lot of time trying to describe spatial information. “We would spend half the conversation trying to describe a location and issue, when a simple map would allow the discussion to address the issues at hand much more effectively,” Thomas said. UDOT had used Esri software before. 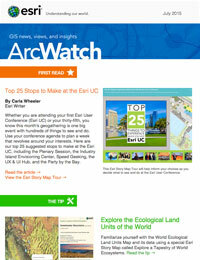 However, the ArcGIS Online solution was transformational. 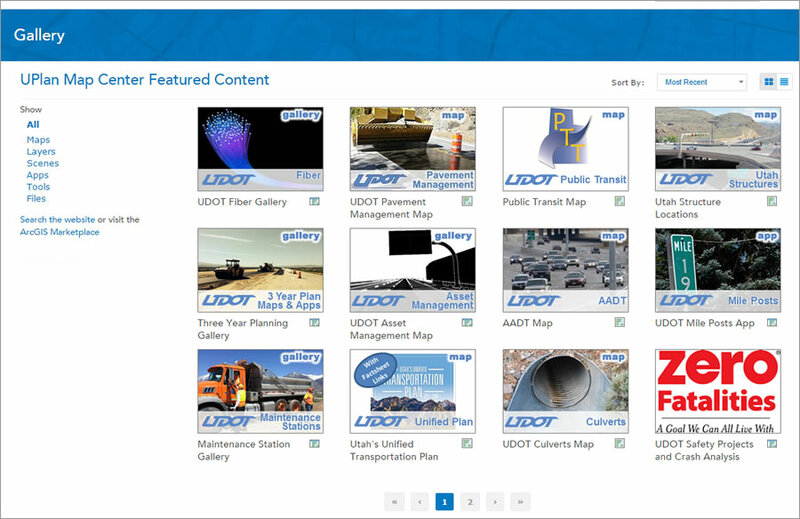 ArcGIS Online enabled UDOT to publish its maps, tools, and apps on its internal website. Non-GIS staff across the agency could view and analyze data intuitively on user-friendly maps. Collaboration spread throughout UDOT. Employees began embedding maps in websites and putting them on mobile devices. Anyone who had a need for data could access, query, analyze, and edit the data via ArcGIS Online. UDOT was also an early adopter of Esri Maps for Office, which let the agency quickly build maps by dragging and dropping existing data within the Excel application. Employees published these as live web maps, which could also be integrated with other web services. Staff used these in presentations, emails, and Microsoft SharePoint. The web maps were updated every night, so staff knew the information was the most recent. Employees began to want more information. Once locked map documents that few could or knew how to access could now be easily shared with partners. The shift wasn’t slight. The agency increasingly used maps to visualize and analyze its information. Maps also are organized in UPLAN using groups such as UDOT Asset Management and UDOT Enterprise Content. UDOT maps in ArcGIS Online provide users with access to groups of content related to road planning, asset management, and critical roads and highway information. Staff have become more productive at meetings. Projects now cost far less time and money. UDOT used ArcGIS Online to identify potential rail-line corridors in a 200- by-200-mile study area in parts of three states. With ArcGIS Online, the agency developed 26 corridors, totaling more than 4,000 miles. Screening the 26 alternatives for engineering and environmental feasibility took just two months, at a cost of only $400,000. Regulatory agencies and UDOT have started to share more information earlier in the process. 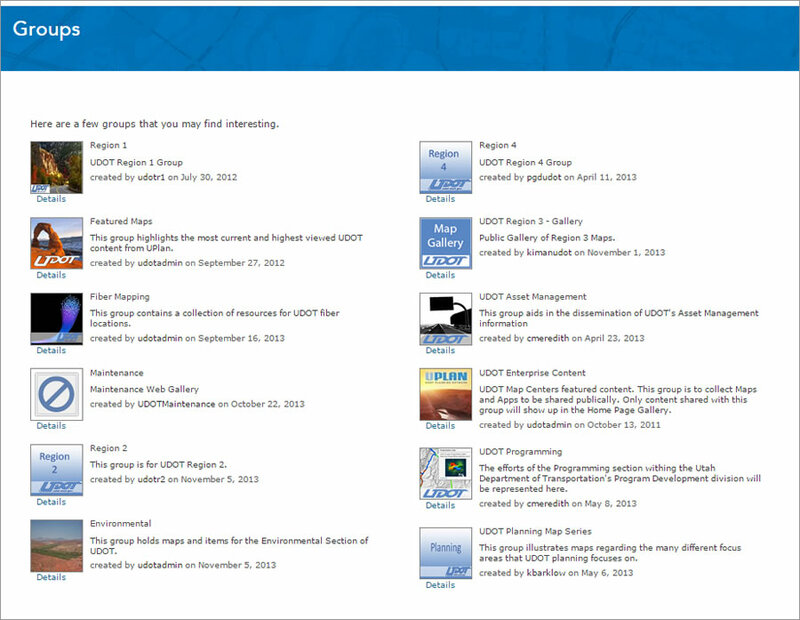 UDOT can produce environmental impact reports within minutes instead of several weeks or months. UDOT’s relationships with federal and state permitting agencies became stronger as information sharing among the agencies created greater transparency during reviews. Simply put, UPLAN internal collaboration skyrocketed. UDOT became more transparent. Managers can use UPLAN to inform their decisions with hard facts through easily consumed web maps. From planning to delivery, more information from UPLAN and other systems now supports decision making. With UPLAN identifying the potential of organizing data, data collection efforts are helping UDOT understand where and what assets are in the 5,800-mile system. Asset management has leveraged a variety of technologies and applications to better manage rumble strips, pavement markings, signs, guardrails, and many other features. UDOT managers bookmark UPLAN to access their most frequently referenced maps. There is seldom a meeting without a live web map, which can be pulled up on any employee’s device. Gone are the spreadsheets the GIS department used to supply for meetings and poster-board prints. Now everyone expects a web map. 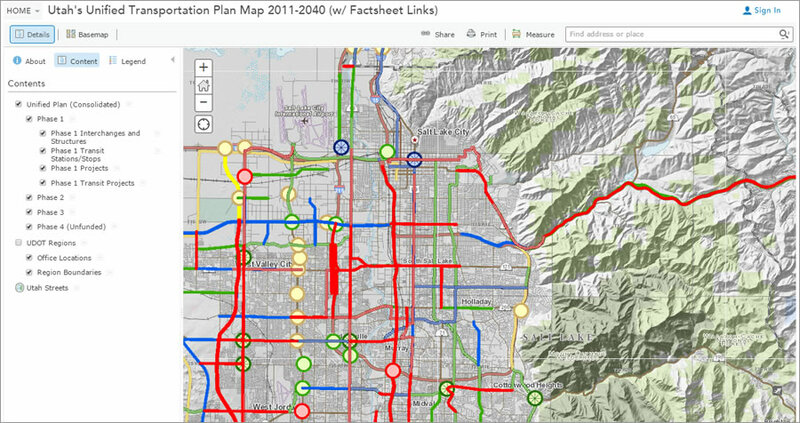 UPLAN uses a single web map to provide access to its phase-based long-term planning for Utah’s roads and highways. Thomas quickly realized UPLAN was unique—but that shouldn’t be. He contacted the American Association of State Highway and Transportation Officials (AASHTO), which circulates technological best practices among DOTs through its AASHTO Innovation Initiative. A web map in UPLAN displays phase-based, long-term plans for Utah's roads and highways. Before long, Thomas started to form a passionate team with the goal of sharing Utah’s experiences with other states and learn best practices from these states. “Transportation doesn’t stop at the border,” Thomas said. However, the United States has never had a federally supported, collaborative framework to view and interpret its entire national road system. Yet transportation is critical infrastructure. Nationally, roads and highways enable economics. Optimizing the transportation system improves quality of life. DOTs often get asked for information related to the federal highway system at congressional hearings—but sometimes the data does not exist or isn’t easy to find. Most state DOTs are not equipped with a system like UPLAN, which has shocked some officials. “Everybody assumes we live in a data age and that you would have your information at your fingertips,” AASHTO Innovation Initiative consultant Monica Worth said. With AASHTO’s help promoting cutting-edge technology, best practices, and implementation tools, the team—including Worth, Thomas, and Terry Bills from Esri—set out to get each state onboard with developing its own ArcGIS Online system. Esri supported the AASHTO Innovation Initiative by providing a one-year free ArcGIS Online account to participating states. The team deployed ArcGIS Online at each state’s DOT working long hours each day to complete the process before moving on to the next state DOT. By the end of 2014, 30 DOTs had started to launch their own versions of UPLAN. “There has been a lot of interest by states to implement a tool that helps use their information to learn more about their transportation systems,” Thomas said. The initiative is being rolled out state by state, including Minnesota, North Carolina, and Pennsylvania. Utah residents also can view some UPLAN maps on the UDOT website. Users can find live, mapped weather conditions; safety information; and planned road construction projects. “ArcGIS Online is helping UDOT be transparent to the public,” Thomas said. The maps foster a greater level of engagement, trust, and involvement between UDOT and the public as well as regulators.